Jo grabbed this shot of “Sterlina The Cow” at the Fulton County Fairgrounds in Wauseon, Ohio. 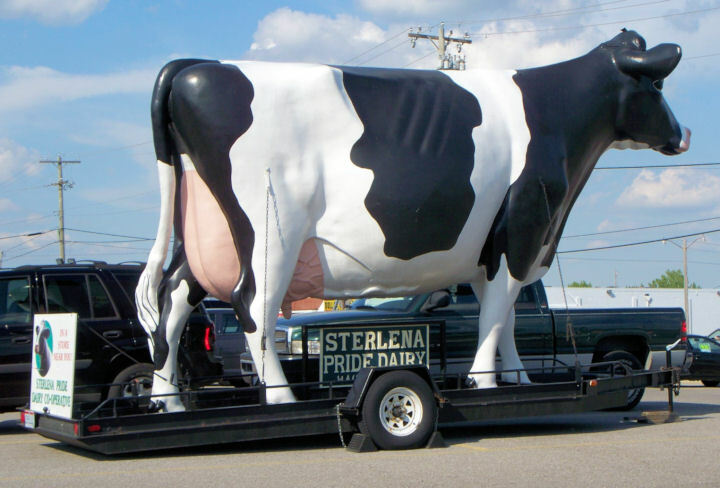 Sterlina is a 14′ fiberglass cow (fabricated in the mid-70’s) that once served as a mascot for the Sterling Dairy (and later the Sterlina Pride Dairy Cooperative). She played quite a role in the rise — and fall — of this small town dairy. Unfortunately, the Sterlina Pride Dairy Cooperative went out of business (again) in early 2010. Wow, these are great. 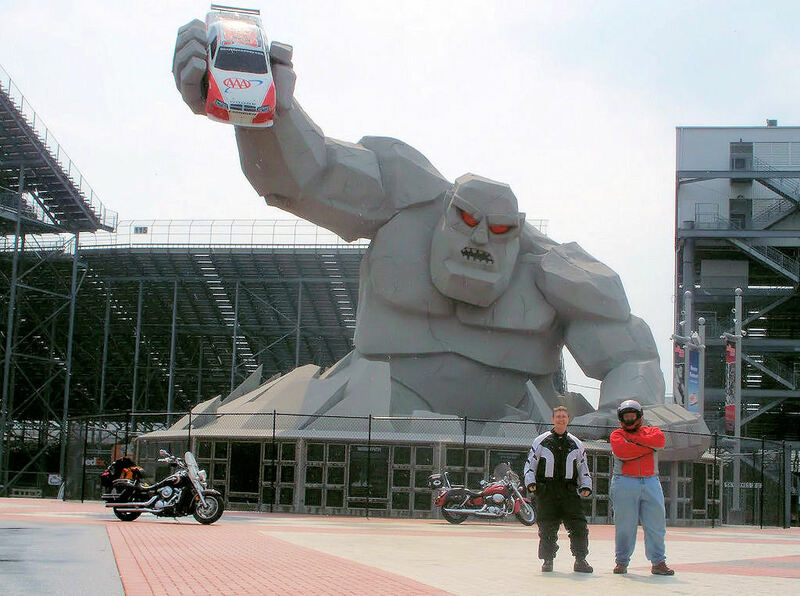 Do you know about the giant egg in Winlock, WA or the giant hat and boots in Seattle? Very interesting website. Looks like you have fun with it. I’m from Australia where BIG THINGs are built as tourist attractions in and of themselves. I’ve been to the Giant Rocking Horse and the Giant Crayfish. I think I may have been to the giant wool bale. There are also a giant earthworm, the big bannana and the big pineapple. I’ve seen pics of the banana and crayfish before … way, way cool! When you’re originally from Ohio, you just gotta love that cow! Blessings! Unfortunately Sterlina Pride went bust I think, so I don’t suppose the cow gets used much anymore.